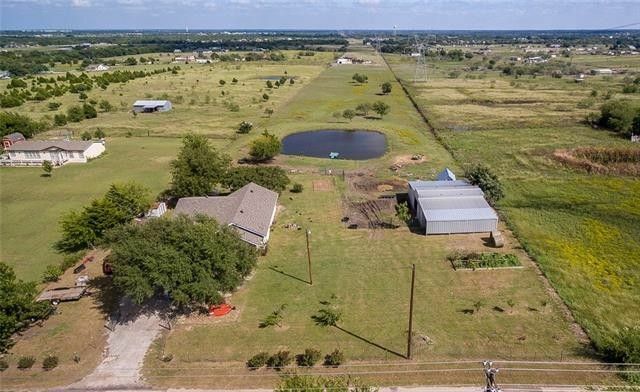 This established organic farm offers the best of both worlds - country living with the convenience of being minutes from major highways and schools. The parcel includes a 0.5-acre homestead and AG exempt 5-acre livestock pasture and 0.5-acre garden. The property is gated and cross-fenced for cattle and horses. The large stocked pond boasts channel cat, bass, crappie and perch. The pond is believed to be fed by an underground source and put in by the Army Corps of Engineers. It’s home to several ducks and two herons. The 36x60' barn has electric and water, it offers 6 stalls, loafing shed, hay and equipment storage and chute pad. There's also a corral, 16x10' calf barn, storage shed, chicken coops, green house and box gardens. The pasture has Tifton, coastal Bermuda and rye grasses, shade trees and an electric fence. Pick your very own fresh nectarines, peaches, apples, figs, pears, plums, plumcots, concord and red globe grapes, asparagus and pecans. Enjoy tranquil countryside views from the front porch or covered back patio. The home features original hardwood flooring and generously sized rooms. The Master Bedroom has an en-suite bathroom, walk-in closet and door leading to the backyard. It needs some TLC but is livable. The 2-car garage includes laundry connections, mud sink, workbench and pegboards. Updates include: roof 2018, electrical 2010, plumbing 2011, heat 2010 and AC 2011. Excludes: All equipment and implements, barn mats and solar lights, feeder, troughs, hot-wire control box, building materials, cameras and potted plants. Bring your horses and cows to make this your very own country paradise!! Directions: From the west, due to road construction at FM-2642, take I-30 to exit 83 FM-1565, left under I-30, left onto WB service road for 2.7 miles, right on CR-2648 for .9 miles, property on right, sign in front. From SH-66, GPS will direct you to CR-2650 off FM-2642, don't attempt it, it's not passable. Exclusions: Mats, wireless camera, solar lights in barn, electric fence hot-wire control box (cont'd in Private Remarks).